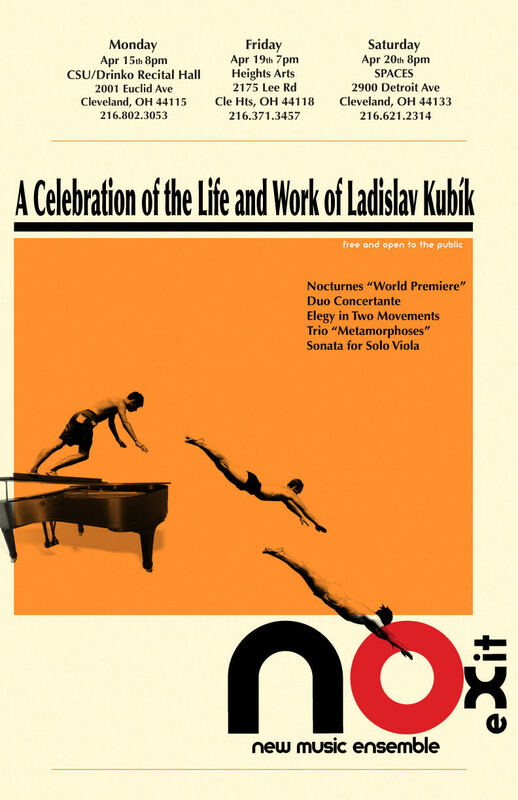 Please join No Exit at Cleveland State University as they celebrate the life and music of the indelible Ladislav Kubík. Often stylistically compared to other post-war Eastern European composers like Witold Lutoslawski and Krzysztof Penderecki, Kubík’s music possesses an inventiveness, power, vitality and remarkable beauty, all of which made him one of the most internationally acclaimed composers of his time. Commissioned by No Exit and included on the program will be the world premiere of Nocturnes, which was Ladislav’s last completed work before his untimely death in 2017. This is truly a not-to-be-missed evening of music! Free and open to the public. This concert will be live-streamed at https://livestream.com/CSUMusic.